I’m officially so jealous of anyone who got to go to Disney’s Comicon celebration D23. I got to experience some of the fun panels watching on periscope (thanks awesome periscopers!) and I can’t even imagine seeing them in person. Let me try and sum up all we learned from D23. The biggest announcement was Star Wars Land!!! 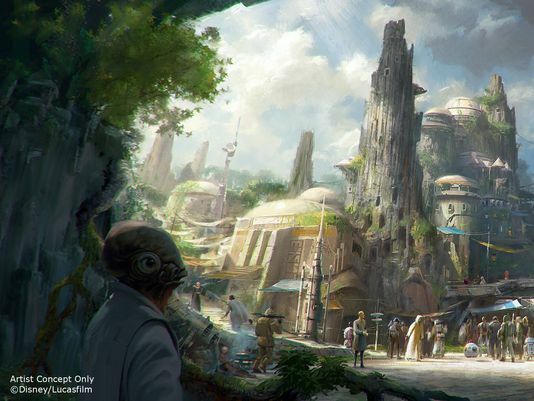 Disneyland and Disneyworld are going to expand to add whole new lands with an immersive Star Wars experience . I love Star Wars so this is so exciting. Evidently all the park personnel and everything you see at Star Wars land will be in character and part of the Star Wars world. The land will be “14 acres each. Guests will be able to ride the Millennium Falcon, sample blue milk and hang out at the cantina”. Sign me up! We also found out that Space Mountain is going to be redesigned to Hyperspace Mountain Star Tours will be updated to include the Force Awakens characters. Sounds like a Disneyland trip will be in my future! In other Disneyland news they announced a new Toy Story land with a slinky dog roller coaster. So far the Toy Story attractions have been amazing so this should be great. 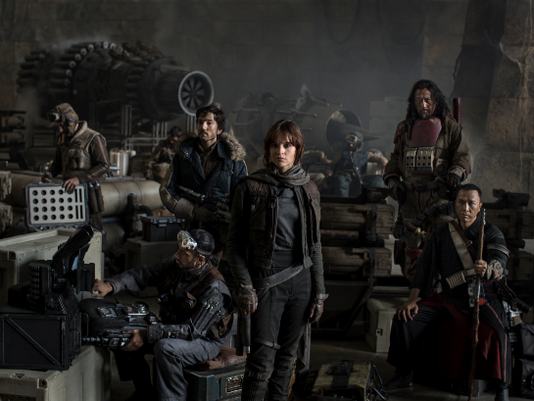 Continuing on the Star Wars vein we got new information on the Rogue One movie which looks awesome. Director Gareth Edwards has started shooting and we should get the movie next year. It will be the first stand alone Star Wars movies and looks like it will take a darker tone about resistance fighters who are trying to steal the plans for the Death Star. The cast looks great with Felicity Jones, Diego Luna, Ben Mendelsohn, Donnie Yen, Jiang Wen, Riz Ahmed, Mads Mikkelsen and Alan Tudyk. With some Chinese action stars it could provide a really visceral feel to the action of the movie and universe which they are trying to keep as real in feel as possible. We also got to see the Force Awakens young cast and Harrison Ford introducing a new poster that looked amazing. I am so excited for that movie!!! Marvel of course had some big announcements at D23 the biggest are lots of info about next years Captain America Civil War. If you don’t know this plots superheroes against each other and evidently they showed a new trailer with Black Widow and Hawkeye fighting. I can’t wait to see this new trailer! Kevin Feige of Marvel also announced Doctor Strange and evidently Benedict Cumberbatch spoke to the crowd from London. I’m a huge Cumberbatch fan and don’t know anything about Dr Strange so the movie looks like a fun addition to the MCU. Now for the main star at D23- the animation panels and news. From Pixar there was a panel on Finding Dory where Ed O’Neill, Ty Burrell, Kaitlin Olson and Ellen DeGeneres were all announced. We of course knew about DeGeneres and Albert Brooks but Ty Burrell who does great voice work and Ed O’Neill are wonderful additions to the cast. 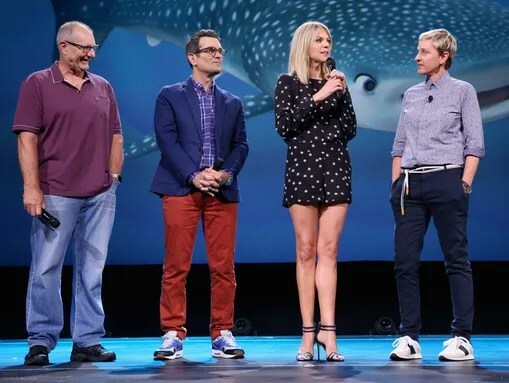 O’Neill is going to be a grumpy octopus, Ty Burrell is a beluga whale and Kaitlin Olson (from It’s Always Sunny in Philadelphia) will be a whale shark. Evidently they showed a few clips to great applause. My only worry about this movie is if it will have a Minions problem. A character like Dory could be better as a sidekick than the main show. 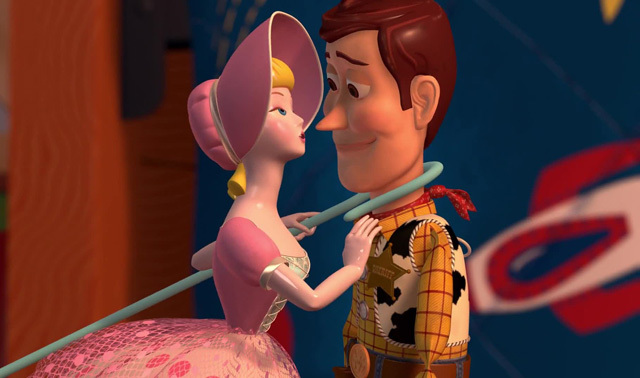 It’s really true about the Toy Story movies. Each one has a different feel and is in a different genre. 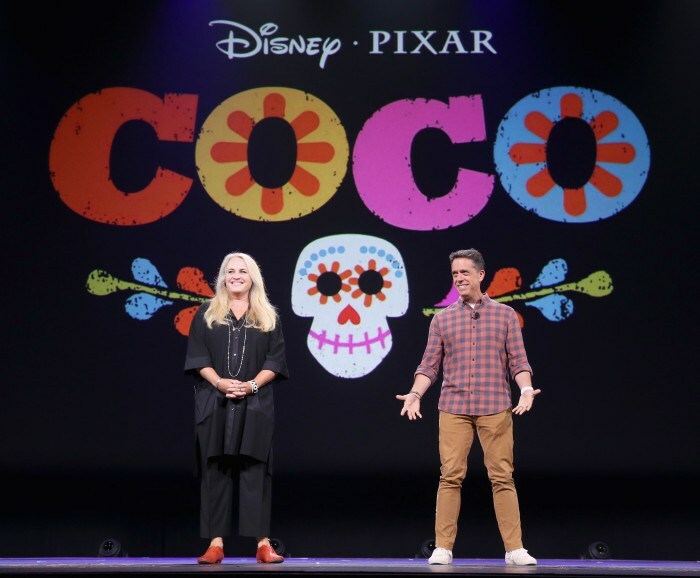 The much talked about Coco project was officially announced by Director Lee Unkrich. This is going to be a day of the dead story where they ask the question What if you could meet your long dead family members? (Pixar loves those what if questions!). The only thing about it which makes me a tiny bit sad is I am sure nobody will remember Book of Life after this which was so artistically beautiful but lacked Pixar’s great storytelling. 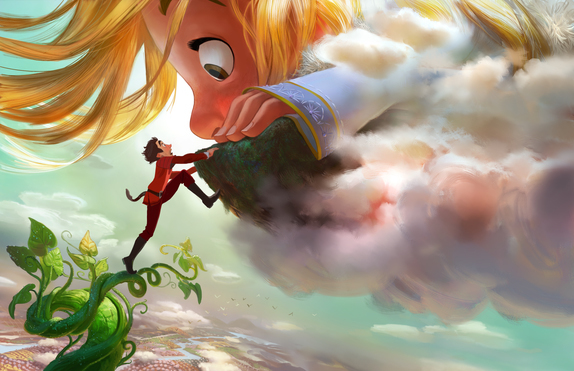 The biggest news from Disney is their new film Gigantic which will take on the Jack and the Beanstalk story. I believe this will be the first time Disney has retold a fairy tale they have previously animated? Fun and Fancy Free is okay but the new take on it seems very inventive. In this version the giant is an 11 year old girl which I think could be really interesting and I love the concept art. I think it could work really well with the current WDAS CG animation style. Also Robert Lopez and Kristen Anderson-Lopez from Frozen are doing the music (Yay!). Evidently they sang one of the songs and it was a huge hit. 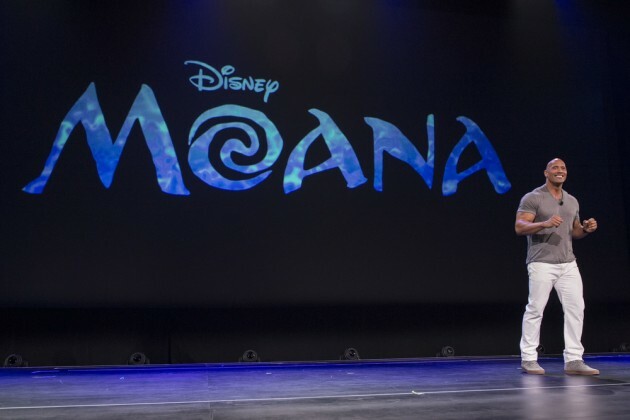 Disney had a presentation on their upcoming film Moana and Dwayne Johnson proved his charisma once again. They also announced all the music talent behind the film, which I am super pumped about- Lin-Manuel Miranda who wrote the The Heights and is incredible, composer Mark Mancina (“Tarzan” “The Lion King”), and Opetaia Foa’i who is in a Polynesian band called Te Vaka. John Musker and Ron Clements are directing and so there is every reason to be excited about this movie (I love anything Polynesian!). And it is so cool to see how important the project is for Johnson. The last animated film they talked about is Zootopia. We learned some interesting things about it. First of all, that it is going to be a musical or at least have original songs which I didn’t know about. They announced a character named Gazelle who will be played by Shakira which honestly I doesn’t do much for me but should be a good outreach to the Latino Disney fans. I’m not a fan of her outfit which seems very slinky. I’m still a little nervous about this project but the team they’ve got is great and it’s cool to see Disney doing something different. I’m sure it will be great. The last thing I thought was cool in the footage was the response to The Jungle Book trailer. Director Jon Favreau introduced it and I guess everyone loved it! And then the entire cast was on stage which looked really cool. Ben Kingsley, who voices Bagheera, said “There is a saying among actors: Never work with a child or animals. I work with a child, and I play an animal.” I just hope they change the ending. Fingers crossed. It sounds like they are using some inspiration from the book and the movie so that sounds great. I was glad to hear that it will be a musical and they will be singing Bear Necessities! And evidently they watched a trailer for Jungle Book which I can’t wait to see. 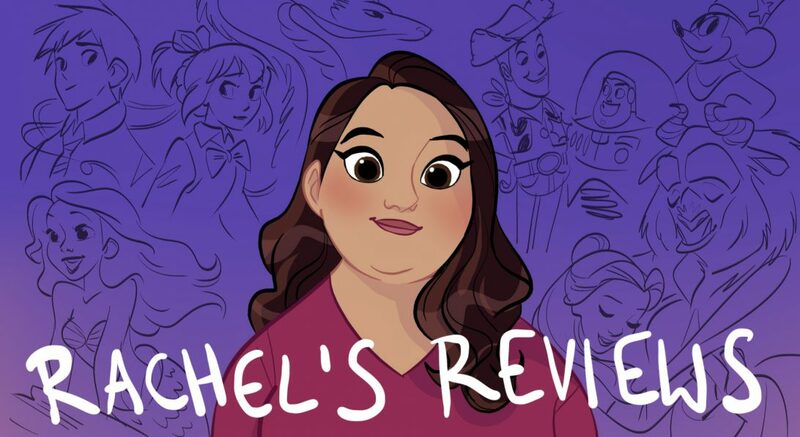 So I know that was an insane amount of information but if you are a movie fan and especially a Disney fan you are probably eating it all up like I did. (And there is even more but I had to stop somewhere). What excites you the most? I think Star Wars Land may be the biggest news because I had no idea that was coming but it is all great. Let me know your thoughts about any of it in comments. It’s a great time to be a movie fan and especially a Disney fan! I’m excited about all the animation news. This D23 Expo is something we all should attend at least once in our lives! What did we do before the D23 started? Oh, interesting. Sort of a streaming Snapchat? Honestly, I can do without a day standing in line in order to get some snatches of something I will eventually see either way. Fair enough. I can tell you arent one for movie buzz but I like getting excited for a project and hearing the behind the scenes info. I think the live panels would be amazing but the lines would be a drag. The nice thing about periscope is I got to see the panels without the lines! But I’d still like to go. That said any of the news excite or interest you? I can’t wait to see the Civil War footage, Jungle book sounds more interesting than I thought beforehand and I like the idea for Pete’s dragon, I just hope that they don’t change Eliot. Oh yeah forgot to mention Pete’s Dragon! I liked how personally invested and honored everyone involved with that film seemed to be. I agree about Eliot. Hope they keep it close to original. I agree on Jungle Book and Civil War. I cant wait until we get to see the trailers. I heard there was also footage of Emma Watson in the classic Belle dress. They had a picture and then they skyped her in normal clothes. I didnt include that because there wasn’t anything new announced but you’re right there were photos (as far as I know it was just photos). It is nice to see they are all taking the project so seriously but I’m still nervous about the movie. Cross fingers and hope it will be good! This was an awesome post. 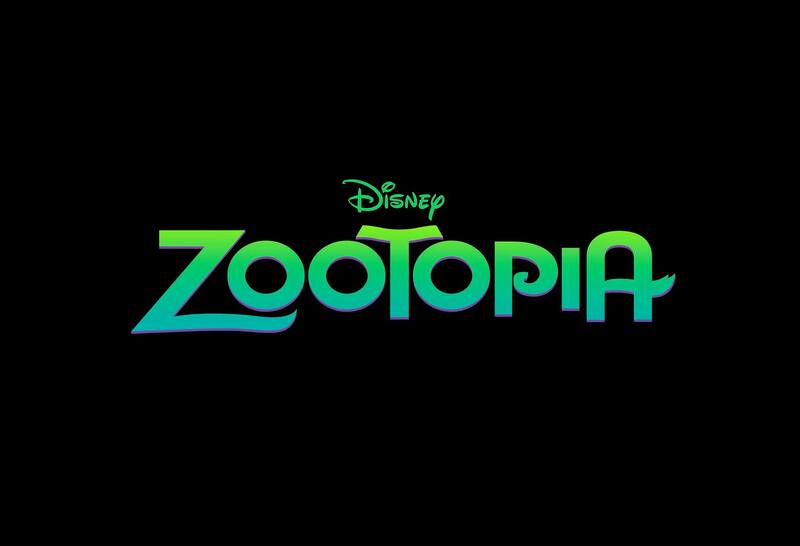 I’m definitely most excited about Star Wars Land, Zootopia, live-action Jungle Book, & Moana. 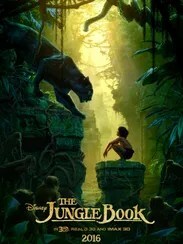 As far as the Jungle Book goes, I hope the Bare Necessities version in that film is as good, if not better than, the version in the Disney cartoon version. And that that’s going to be a musical too, eh? Wow, and Zootopia is going to be a musical, eh? That I am a little surprised about. I thought it would be more along the lines of say Wreck-It-Ralph or Big Hero 6 or something like that. Well, here’s hoping the songs are good or great. Oh, and I’m curious, did you see see the live-action Jungle Book version that came out in 1994 (the one that also had an Indiana Jones feel to it, I will add)? Anyway, thanks for this awesome update! Hey isn’t it exciting news! I don’t know if Zootopia is going to be a full on musical or just have the one song from Shikira. But yes Jungle Book is going to be a musical and I was watching a panel yesterday and they said the trailer was some of the most amazing CG work they’ve ever seen. This excites me tremendously. It sounds like they are doing a little bit from both the book and movie so that should be good. I actually haven’t seen the live action one. Do you like it? Well, I will say I’m a little ambivalent about it mainly because Shere Khan is more of a minor villain, while one of the humans is a major one. Still, it is enjoyable nonetheless. So, in answer to your question, yes, I do like it a lot for the most part. I would definitely recommend it if you’re interested. Yes, all the news you mentioned really is exciting news for sure. Thanks do much for giving this update! And by the way, I was thinking about possibly waiting until my birthday next to see Zootopia. However, I looked up the release date for the live-action Jungle Book and it turns out that that film comes out exactly on the day of my birthday then. Now I guess I’m facing a dilemma as to which to see. Thankfully I have a few months to think about it, but still. Oh well, I guess! 😦 Anyway, I presume the animals in the 2016 Jungle Book film talk as well, eh?